Digital menus offer you a huge number of options, however, it is up to you how much time and exertion are you willing to put into it. We offer you some intriguing tips that will make your offer more appealing digital menus to your visitors and open their appetite. The general concept of presenting a digital menu in your restaurant demonstrates that you think about the satisfaction of your visitors, and the richer the data you show to your visitors, the more they will value the time you have put to exhibit them your offer and make the choice simpler. 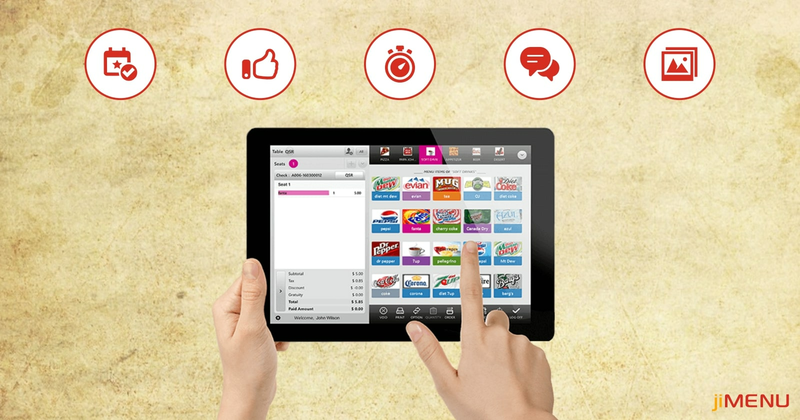 Here are a few tips on how to make the most of digital menu options. Allergens and Nutritional Value of Food: Today, there is an expanding number of individuals allergic to certain foods. Therefore, at the end of 2014, the Union made the provision that all restaurants must have indicated on their menus. Punishments for not having it done are high. However, even more imperatively, somebody's life may rely upon it. Investigate whether your meals contain certain allergens and avoid paying penalties. Some individuals do not endure certain foods exclusively for health reasons. However, a few people do not consume certain foods for religious, social, moral and different reasons. Keeping in mind the end goal to encourage the choice of such individuals and let them know you to respect their necessities and beliefs, digital menus have the alternative to look through the offer by kind of food. There is additionally the possibility of entering the calories and nutritional value, again with the point of getting your guests informed about what they are ordering. After your visitors are given as much data about your restaurant offer, the feeling of trust, security, and respect is created. Description of Dishes: Next thing that is imperative to your guests while picking a food is a description of the food, ingredients it contains or the way it is served. That way your visitors will show better signs of knowledge of your offer and will help pick a dish that suits their taste. It frequently happens that visitors, in view of a wrong selection of dishes, 'classify' some restaurant as 'bad' or 'unacceptable', trusting that it did not fulfill their expectations. However, with descriptions and photographs of dishes, visitors turn out to be more comfortable with the entire range of restaurants, picking a dish that fits their desires, know in advance what it contains, and looking into this data, opens them and their appetite. It expands the desire to try dishes from your offer and will in all probability return again to the restaurant to fulfill his interest. It is suggested that you enter as many details and fascinating descriptions as could be expected as possible. Food Preparation Time: Digital menus offer the option of entering the cooking time, which really informs visitors about the time they will have to wait, and in this manner keeps away from resentment on account of the conceivable long wait to serve. Regardless of how long it takes to prepare the food, your visitors will have a ton of fun concentrate your restaurant menu. The issue with paper menus is that they offer just words, nonetheless, the greater part of your guests won't have time or enthusiasm to consider all your menu. After they confirm their order, it is not likely that they will come back to browse your menu once more. Interestingly with the digital menu, it is very inverse. Since they are extremely basic, transparent, visible and full of systematized information, guests will be pleased to experience again with your menu. Photographs: Photographs, which are really the main thing your guests will focus on while checking your menus. It is not said in vain that photos talk louder than words. Beautiful and representative photographs of each dish make it more alluring. With the assistance of digital menu boards and, obviously, a great photographer, you have the chance to exhibit your dishes in the best possible light. Include more photographs and, if conceivable, embed a video content related to the preparation of certain dishes or with its presentation. To improve your photographs look on the tablet, it is suggested that the ratio of photographs is 16: 9 and a resolution of 1920×1080 pixels and that a little space around the dish is left since the application automatically cuts the photograph. Events and Special Offers: Digital menus are completely centered around best possible advertisement of your restaurant. To its offer as well as on its history, specifics, and occasions that are occurring in it and the organization of the restaurant. In this way, you can educate your visitors about the activities that are occurring in your restaurant and on some future occasions, which can attract more guests. Entering notification of an occasion or elevating your new dishes to your menu looks exceptionally fascinating and instructive, and does not require a great deal of work. Simply enter the required data and embed a representative picture in the back-end application. Guest Comments: Another fascinating element of the digital menu is the possibility of leaving comments about food and evaluation of the same by your own guests, who have effectively attempted it. In this way, the introduction of food, made by food providers, is complemented with impressions of its consumers. Individuals have a tendency to have more noteworthy trust in individuals with whose positions they can recognize. This is an exceptionally valuable component and will positively add to the fame of your restaurant. Recommendations: Digital menus offer the likelihood of making a proposal in a path that with each dish you can recommend some drink, desserts or a side dish. Likewise, to make it simpler for your visitors to supplement their order to perfection, you urge them to extra consumption, which brings about the mutual satisfaction. These were some of the top tricks to make the digital menus more interesting and attractive for your customers. We are sure there are many others. Share your tips with us in the comment section below if we have missed any.